Before you head to Famously Hot New Year – SC's biggest New Year's Eve celebration set on Gervais Street, with Trombone Shorty free in concert and beautiful fireworks – treat yourself to NYE dinner at Motor Supply Co. Bistro. 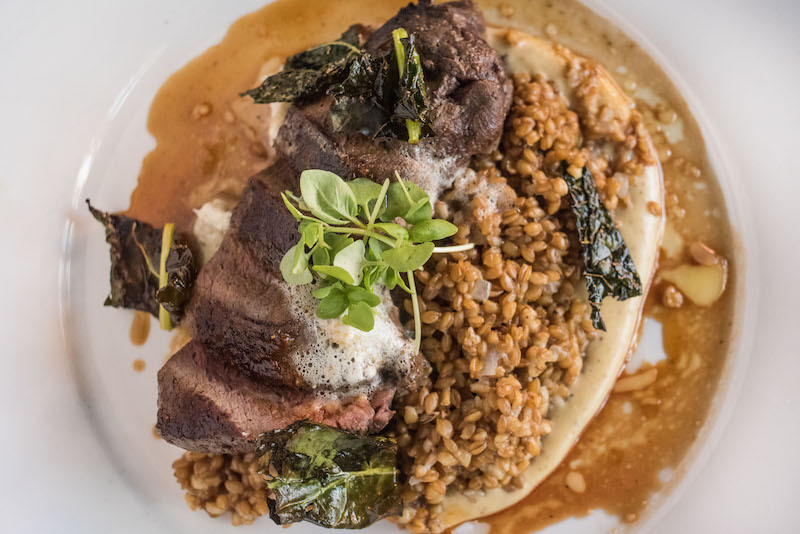 Executive Chef Wes Fulmer and his team have crafted a luxe a la carte menu, featuring first courses like charred octopus and foie gras and entrees from lobster tail to pork osso buco; each knowledgeably matched with a recommended wine pairing. View the menu below and make reservations by calling 803-256-6687 or clicking here. Local rutabaga, charred radicchio, blistered tomatoes, butter bean and smoked shrimp "remoulade"